tells his story yet again. After loosing my 1966 Valiant Signet convertible in a garage fire July of 2003, I decided to take a break form the old car hobby and get my home back in order. Well, it was just about a year before I started to scan ebay and local car trader magazines looking for a replacement. While doing a random search for Plymouth’s on ebay, I came across my next victim (err, car). It was a triple green 1970 Plymouth Fury III two-door hardtop located just 50 miles from my home. What grabbed my attention were the Sport Fury grill (hidden headlights) and rallye wheels, which the previous owner had installed. 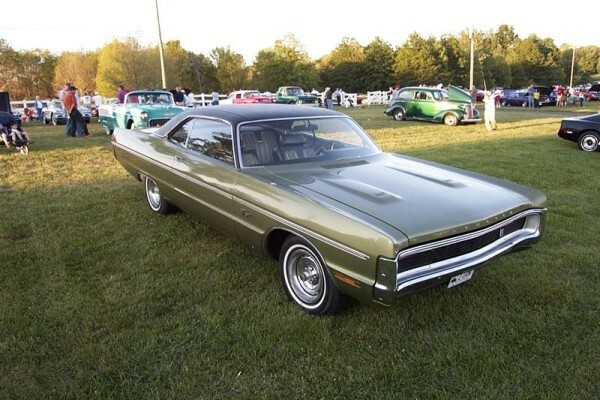 I remembered these big C bodies from my youth, where during my first real job all the company execs drove big Chrysler products, including a 1971 Polara. I took a drive out to see the car and after a quick spin, I decided to buy it. It was a great car and fun to drive despite its huge dimensions! I even drove the Fury to Carlisle in 2005. During my ownership of the Fury, I always had an eye open for another early A body. 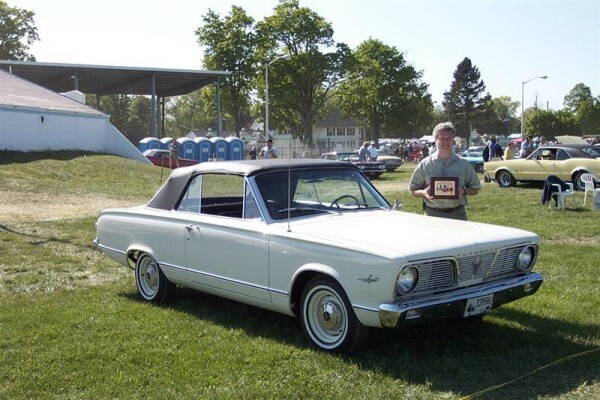 I enjoyed my Valiant convertible while I had it, but after going to Carlisle a few times, I began to appreciate the early Barracuda’s. 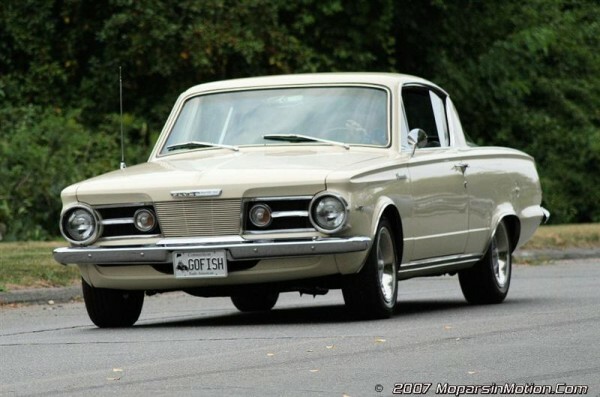 At first I liked the look of the 1966 Barracuda because of the similarity to my Valiant. I think the huge rear window gives these cars a unique style. ����������� So I continued to search for a Barracuda of my own. I was looking for something that did not need any bodywork as I had already traveled that route restoring my Valiant. 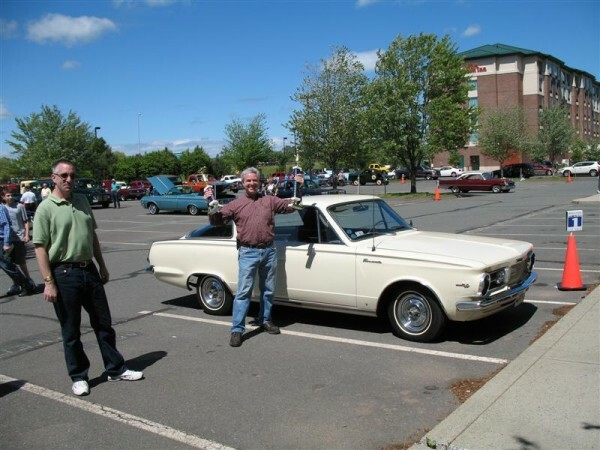 I came across a 1965 Barracuda on ebay located in Cambridge, MA about 100 miles from my home. The car was supposedly a rust free example with 32k original miles. I procrastinated and missed the end of the auction. The car eventually sold to someone else for $5000, which I thought was a fair price considering the low mileage. After some soul searching, I decided to email the seller and inquire if anything should go wrong with the sale, I’d like to be contacted, as I was still interested in the car. About a week later I received an email from the seller informing me that the high bidder had decided not to buy the car and it was now available and was about to be re-listed. I sent the seller a $100 deposit to hold the car till I could drive up to see it over the weekend. I took two friends with me to see the car (one has owned multiple classic cars and knows what to look for). The car was parked outside under a car cover at the back of the driveway. The owner came downstairs to show us the car. After removing the cover, I could see the paint was dirty. The car had been outside for some time. I started to take a closer look at the body. It was straight as an arrow. No rust evident anywhere. The rear wheel lips were straight and smooth. I brought a screwdriver with me and carefully removed the sill plates and pulled back the carpet. The floors were rust free. Now you have to understand this is the Northeast, rust free 40-year-old cars are extremely rare. 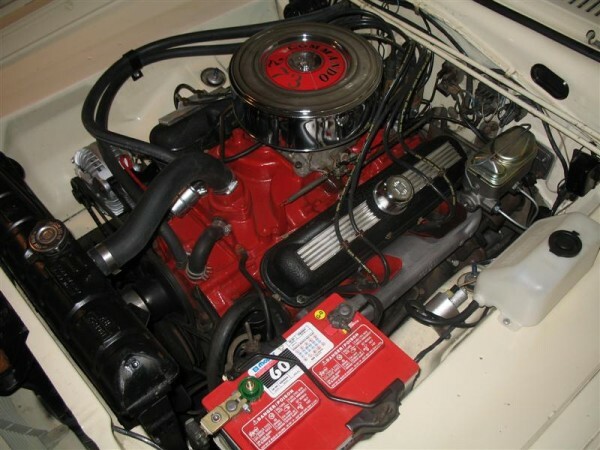 Under the hood was a 273ci Commando V8. The engine itself had peeling paint and someone had taken the opportunity to spray it with orange paint. The car did have the correct rear valance for a square tipped resonator and the fender tag codes confirmed it was a Commando equipped car. An incorrect single exhaust system had been installed. 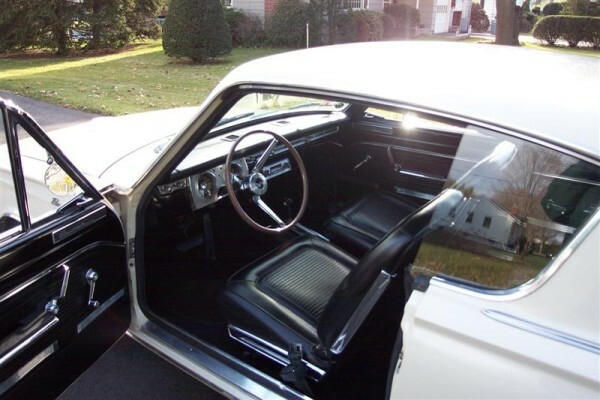 The interior was original. The passenger’s seat cushion was concave due to deteriorating foam. The dash pad had some cracks and the carpet had faded from black to orange, especially under that huge rear window. I opened the trunk and removed the bias ply spare tire to reveal just the slightest amount of surface rust. The owner got into the car and tried several times to start the car without success. I got into the car and held the gas pedal to the floor and the engine fired up. We took the car for about a half hour drive through the city and a short trip on the highway. The car seemed to run OK. The steering was a bit loose and the car pulled to the right when applying the brakes. ����������� I asked if the 32k miles on the odometer was accurate and she told me it was and offered contact information for the previous owner to collaborate. I decided to buy the car. We wrote up a bill of sale and I gave the seller a check. It was mine! We drove the car 104 miles without a problem to a storage garage where I worked. The next day I decided to pull the car outside to wash it and the brake pedal sunk to the floor (leaking wheel cylinder, hence the pull to the right). We were lucky not to crash and burn on the drive home! After spending a few days compounding and waxing the paint I realized how fortunate I was to get this car. I learned from the previous owner that the car had spent the majority of its life in southern California no doubt accounting for the well-preserved sheetmetal. I learned the car had been repainted once by the dealership many years ago. Even things like the chrome on the dash cluster and armrest bases are very nice. I’ve owned this car over two years now and have since replaced the carpet, had the front seat cushion foam replaced, installed the correct style exhaust system, replaced the heater core and had the radiator flushed. Last year I upgraded to front disc brakes and a dual master cylinder. I’ve added Mopar electronic ignition and 15” Rallye wheels. I’ve cleaned up the engine compartment and painted the engine the correct red. Someday I’d like to pull the engine out and really do it right. Plans for this year include a new fuel pump and water pump to make the car more reliable on those 700+ mile road trips to Carlisle. This car was used on the CD cover of the previous owner’s band. There was a complimentary copy in the glovebox.